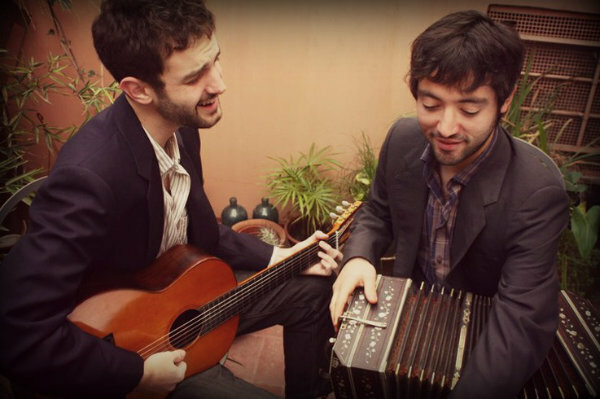 Cosae Mandinga, the milonguero duo (Guitar/voice – Bandoneón) from Buenos Aires Argentina is returning to SCALA. This time presenting the songs from their new album ‘Estilo Mandinga’ (2017) and the best songs from the previous two albums ‘Polenta’ (2011) and ‘3 Tandas’ (2014). Estilo Mandinga was recorded in the famous studio “Mawi Road” in Buenos Aires between November 2016 and February 2017, after one year of intense work pre-producing the album the quality of the sound and interpretations clearly puts this album as the best album from the duet so far.